Time to get some work done to your gutters? Boyd Construction Co Inc are not only the premier flat roof specialists in the Washington DC area since 1932 they are also experts who know how to do the job right the first time, for gutter cleaning, repair or replacement. Gutters redirect rainwater from your roof and away from your house. A well functioning gutter system is necessary if you do not want your home to suffer from structural damage, damp interior walls, and mold growth, all symptoms of a poorly functioning gutter. If you hope to conserve the quality and structural stability of your home or office, gutters are necessary. Unfortunately gutters that are not properly installed can do more damage and harm. 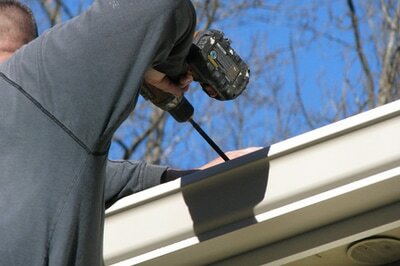 It is best to get the proper, high quality, professional gutter system to provide the best investment in your home. New gutters direct rainwater away from your foundation, siding, and landscaping more effectively, preserving your home’s value and beauty. Gutter systems are designed to redirect rain away from your house to avoid doing harm to the structure or your home. 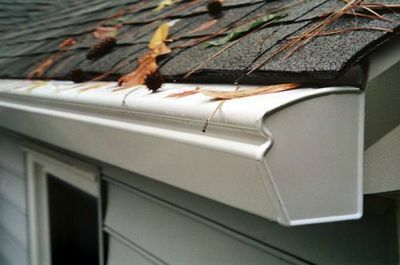 If a gutter becomes blocked with leaves, branches, and other debris, they cannot and will not do their job properly. A blocked gutter is as good as no gutter at all; sometimes even worse. Cleaning gutters can be a dangerous proposition. If you do not have the knowledge and tools to do the job properly, you run the risk of injuring yourself. While cleaning your gutters, Boyd Construction Co Inc technicians will inspect your roof for broken shingles and any other potential problems at no additional charge. 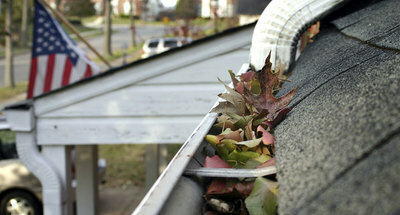 The best time to clean your gutters is spring and autumn. L However, many do not realize that additional tree debris falling after the blooming period can clog gutters even worse than dead leaves can. Buckeye Seamless suggests cleaning your gutters twice a year; however, when cleaning them in the fall, we suggest that you wait until all the leaves have fallen to get the job done. 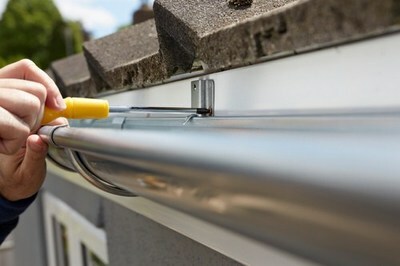 This will save you money and keep your gutters in top working order. A properly installed gutter system is a necessity. Keep in mind that every system needs maintenance and repairs from occasionally. If a gutter that is in need of repair is not addressed immediately, it can bring on other issues that are much bigger, like leaks or rot. Preventative care is key to avoiding larger problems as well. It's wise to schedule a checkup. Boyd Construction Co Inc, has a spring special that includes a roof tune up, gutter cleaning and inspection. For more details go over to our main service page or contact us for a free estimate. If your gutters are at the age where it's time for a replacement, then it is time to switch to a modern, low-maintenance system. Gutters with gutter covers are designed to keep leaves, branches, and other debris out of your gutter lines. In turn, you will need to make far fewer service calls over the life of your gutters. Any home improvement is can be a costly investment, however you can see your gutter replacement project as a way to add value to your home and free up time for more pleasurable pursuits.